Rabbi Yitzchak Nissim was a spiritual leader of rare stature. A fearless man who spoke out forcefully, a deeply insightful rabbinical scholar, whose learning was as wide as it was precise. A man of great practical acumen and wisdom. He was born in Baghdad in the year 1896 and came to Jerusalem in 1925. 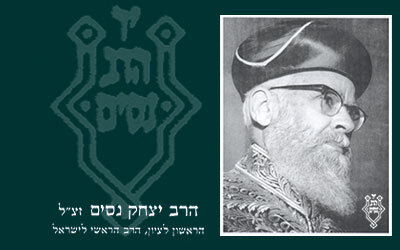 In 1955, he was chosen as the Rishon L’Zion and the Chief Rabbi of Israel. Immediately following his appointment to this high post, his independent thinking and unique way of conducting almost all of his activities became apparent. The Rabbi aspired greatly to establish dialogue and friendship between all parts of the nation, including those who had become estranged from the observance of the Torah’s mitzvot. During his tenure as the Chief Rabbi of Israel, the State of Israel became the greatest Torah center in the world. He held the position of Chief Rabbi for eighteen years, up until 1973 and passed away In 1981, on the 9th of Av, the anniversary of the Temple’s destruction. His Judaica library was unique, containing a valuable collection of first editions, as well as valuable Halachic and scientific manuscripts, some of which he managed to get published. The Rabbi had to answer Halachic questions addressed to him from almost all corners of the globe. Thousands of responsa, some of them of extreme importance, accumulated in his possession, and following his retirement he began preparing them for publication. 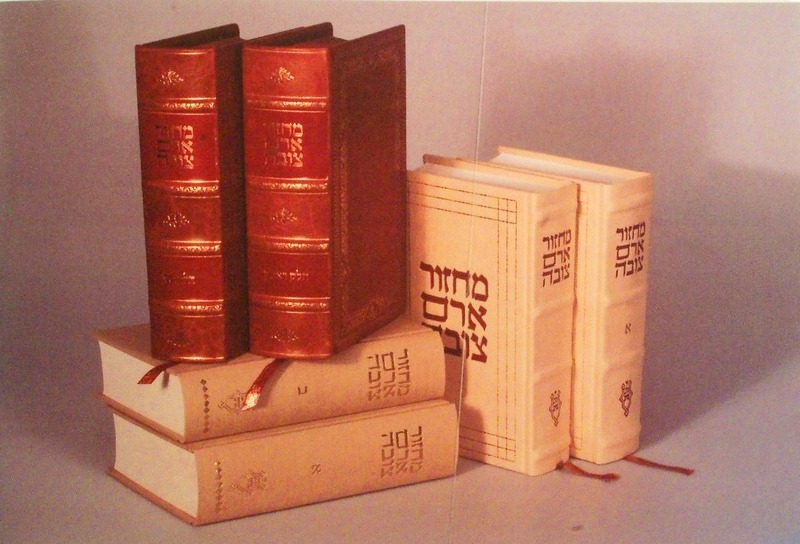 Two volumes of these Responsa called Yain Tov were published in 1979. Today his personal library and papers have become the kernel for one of the finest public libraries and publication centers in Jerusalem. מחזור ארם צובה: סידור תפילות כפי מנהג ק”ק של ארם צובה, יוצא לאור במתכונת דפוס ויניציאה רפ”ז, ונלוה אליו כרך מבואות מאת פרופ’ מאיר בניהו, פרופ’ יונה פרנקל ופרופ’ שולמית אליצור.